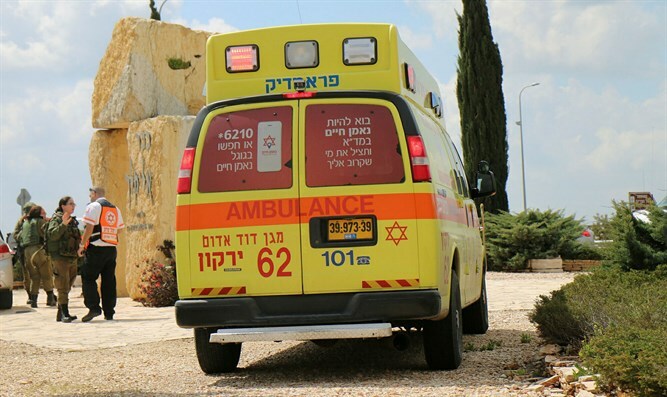 Agriculture Minister Uri Ariel (Jewish Home) on Monday expressed sorrow over the murderous terror attack near Ariel, which claimed its second victim on Monday morning. On Sunday, a double terror attack in Samaria left two wounded and 19-year-old IDF soldier Gal Keidan dead. A second victim, Rabbi Ahiad Ettinger, succumbed to his wounds Monday morning. "I share the sorrow of the families of the Ariel shooting spree's victims, and send my condolences to the families of Sergeant Gal Keidan and Rabbi Ahiad Ettinger." "We must act to apply sovereignty to Judea and Samaria, and deal in the harshest manner and to the fullest extent of the law with the murderers who attack us from the north and south. "I send wishes for a speedy recovery to those who were injured, and support the IDF and security forces, who are acting to capture the perpetrators."